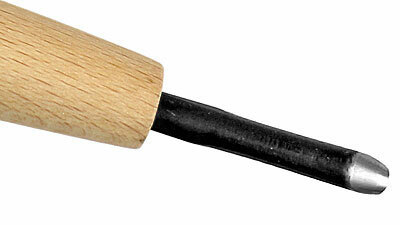 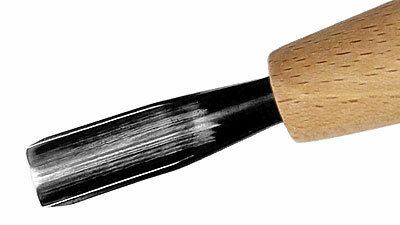 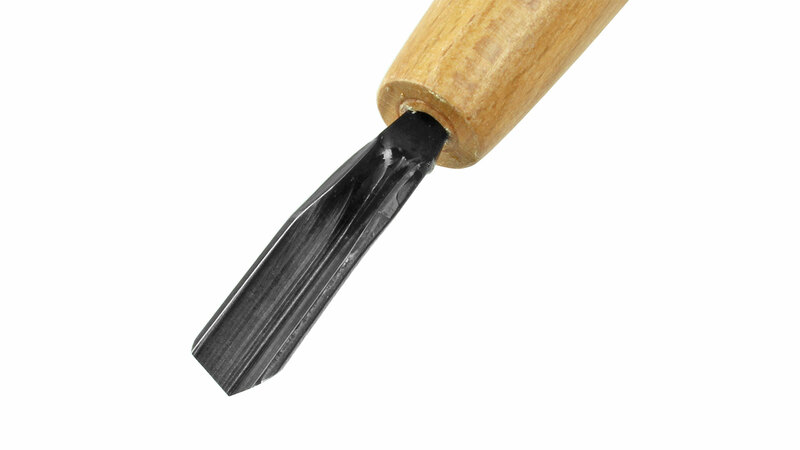 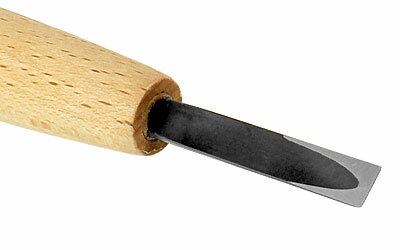 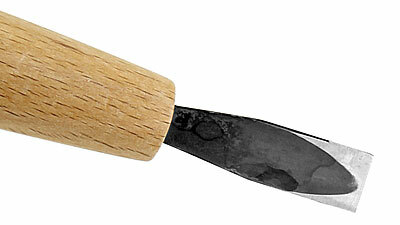 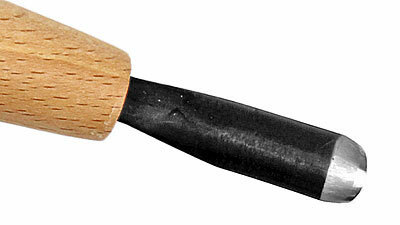 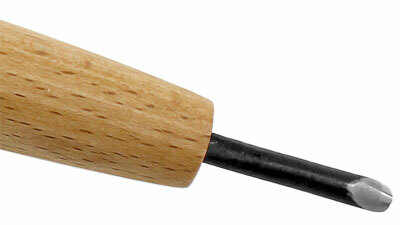 Our "Power Grip" palm woodcarving tools are very low priced. 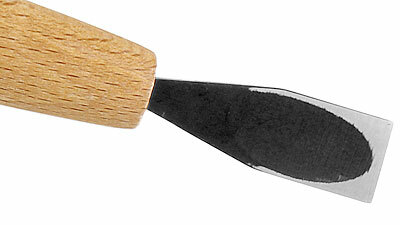 They are made of laminated steel, which is industrially pre-fabricated, thus we can offer them for this price. 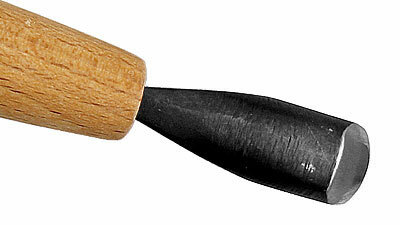 A great bargain - for the beginner as well as for occasional carvers. 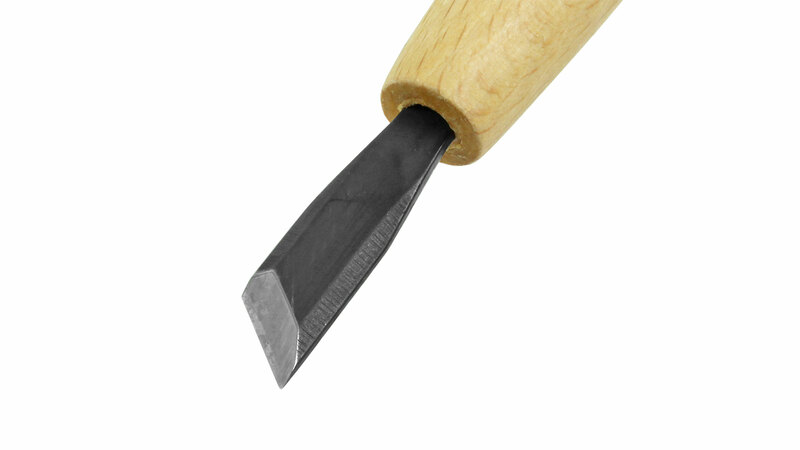 Slightly bigger and much stronger are the small carving tools made by the wellknown forge KAWASEI. If you would like to work on curved or rounded surfaces, or to comfortably put the finishing touches on bowl-shaped objects, then these special tools from the Kawasei forge are your ticket. 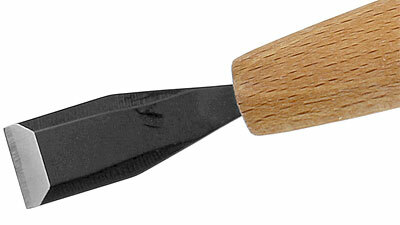 Both of the tools are made of laminated carbon steel. 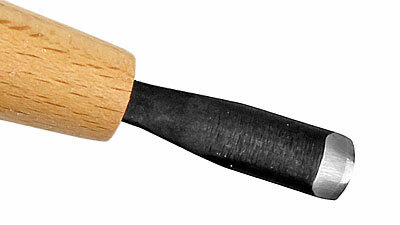 Small Japanese Carving Tools "Power Grip"
Caution: as with all Japanese chisels and similar tools, the steel used is extremely hard, and so more brittle and easier to break than softer steels. 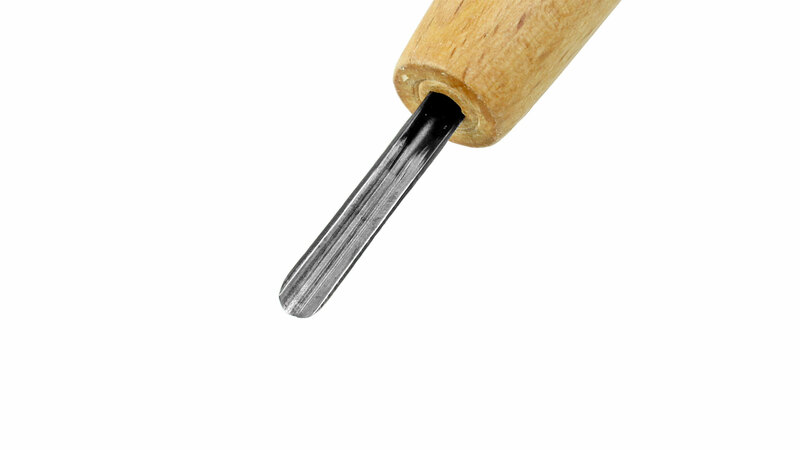 These tools should not be used as a drill or a pry bar. 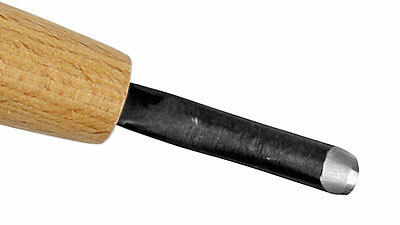 This kind of misuse will quickly result in a broken point, and then we naturally cannot accept any warranty claims. 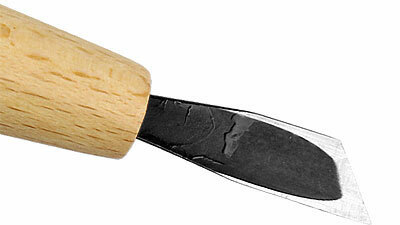 Recommended for beginners and occasional carvers if they follow these warnings. 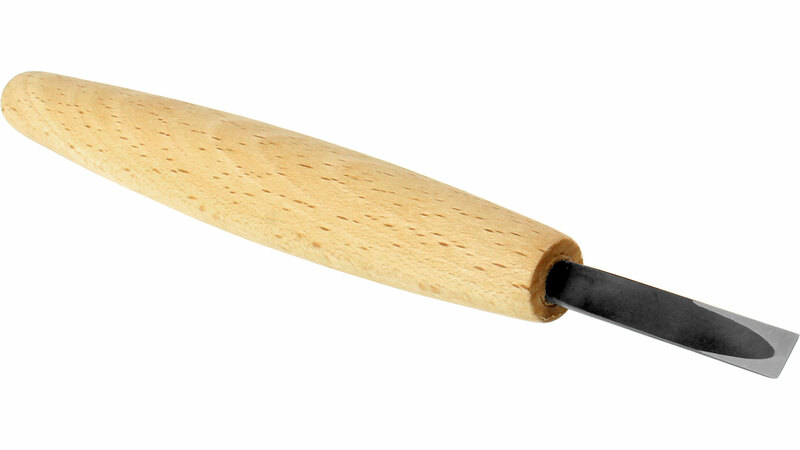 "Power Grip" Carving Tool flat rounded edge 7.5 mm Currently not in stock! 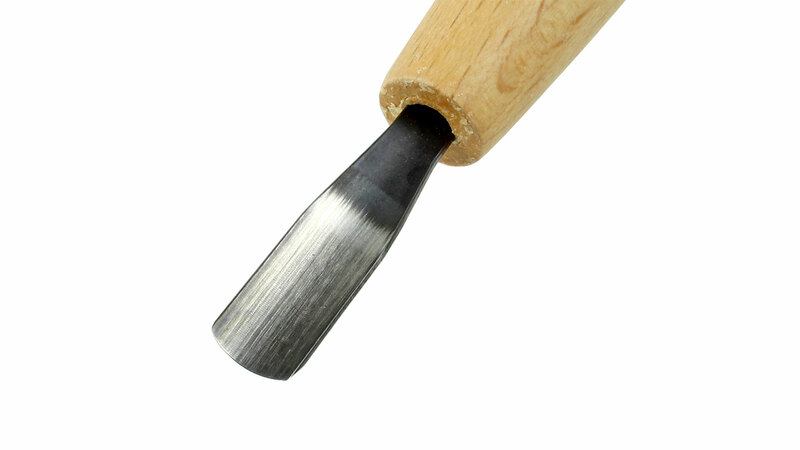 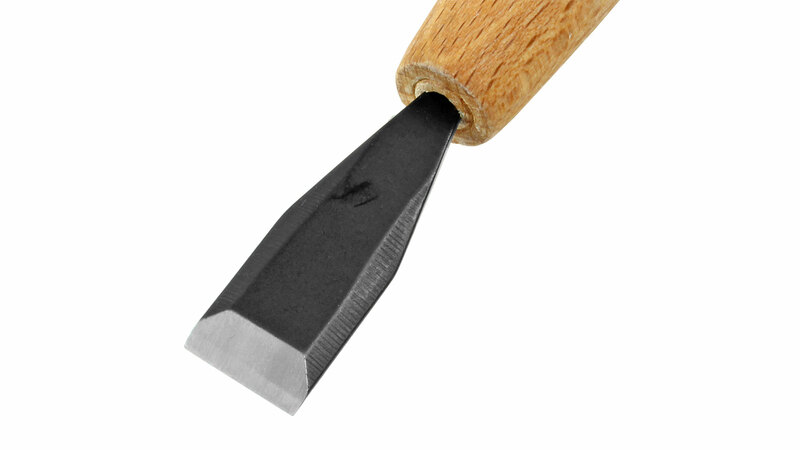 Caution: as with all Japanese chisels and similar tools, the steel used is extremely hard, and so more brittle and easier to break than softer steels. These tools should not be used as a drill or a pry bar. 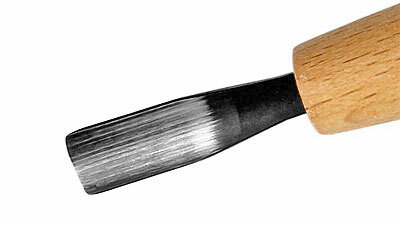 Recommended for beginners and occasional carvers as well as for professionals. 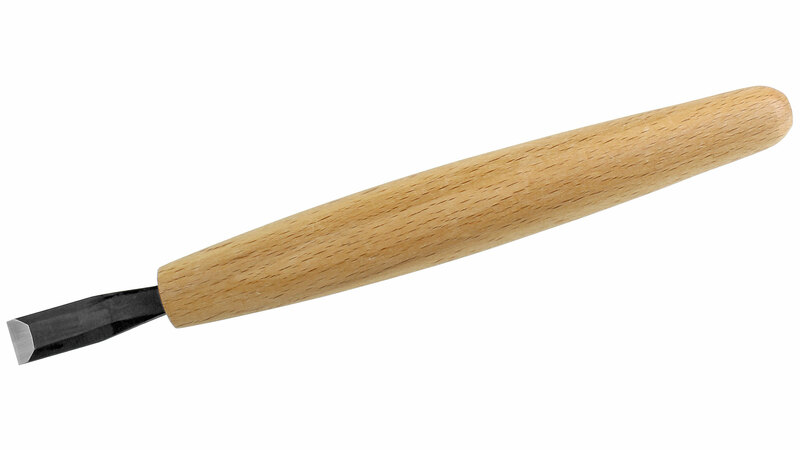 We offer a set of five! 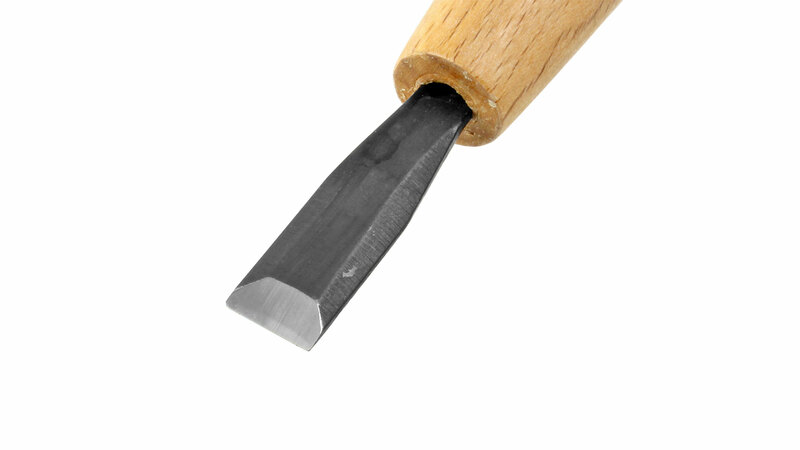 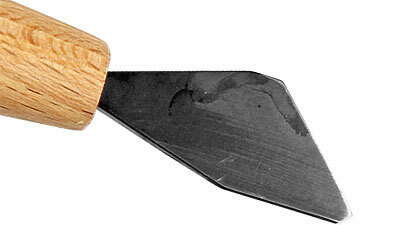 Caution: as with all Japanese chisels and similar tools, the steel used in the Yarri Kannas is extremely hard, and so more brittle and easier to break than softer steels. 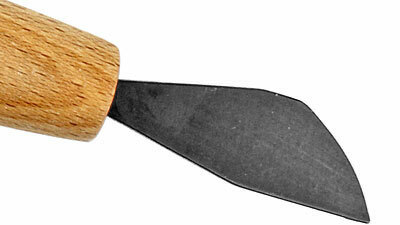 This tool is designed to cut fine shavings from convex surfaces. 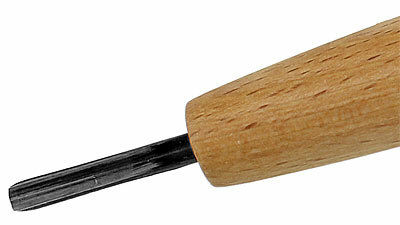 It should not be used as a drill or a pry bar. 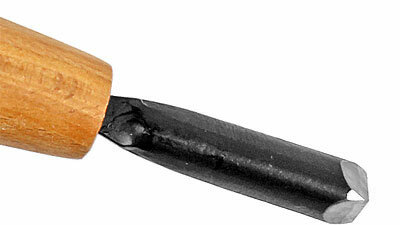 This kind of misuse will quickly result in a broken point, and then we naturally cannot accept any warranty claims. Not recommended for beginners. 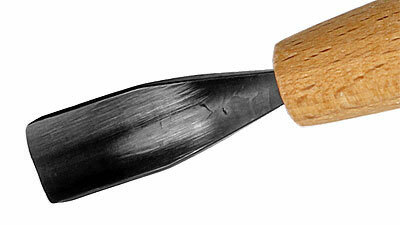 This tool is developed from the original-type Japanese plane, the Yarri Kanna, but has a curved blade. 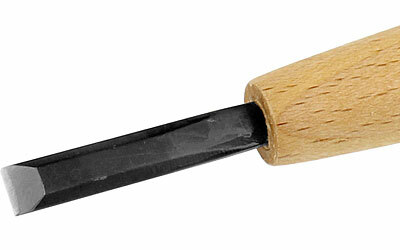 Have a look at the basic Yarri Kanna. When you have compared the two tools, you will see that the blade on this one is designed to work beautifully on convex surfaces. 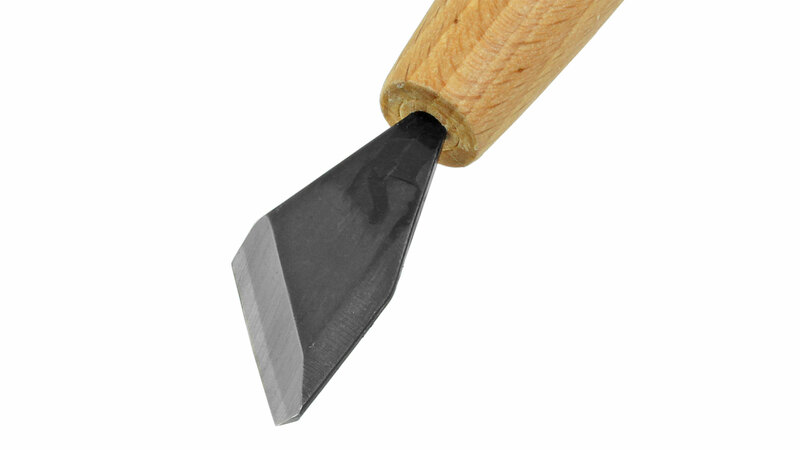 Made by Kawasei in Yoita, Provinz Niigata! 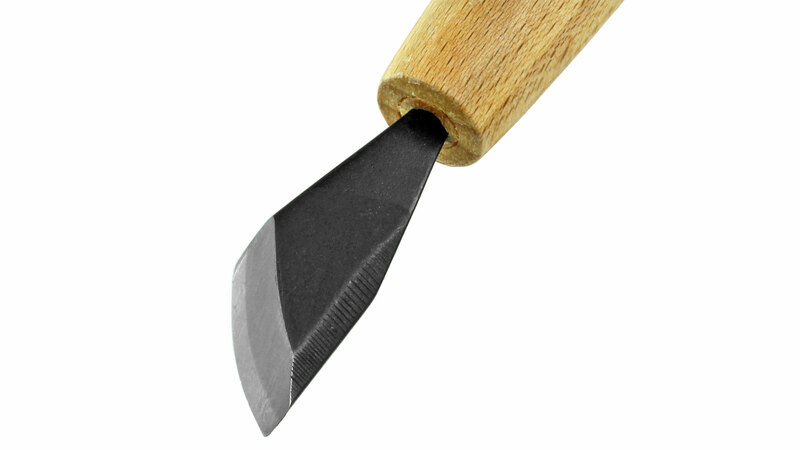 Caution: as with all Japanese cutting tools, the steel is very hard, and so brittle and easier to break compared to softer steels. 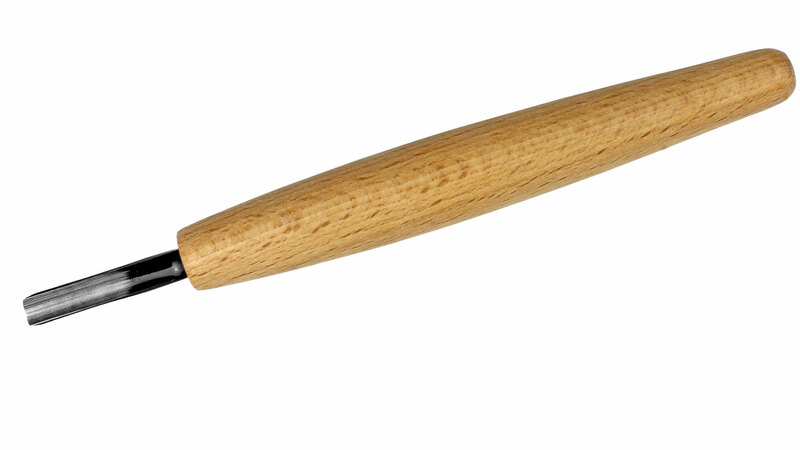 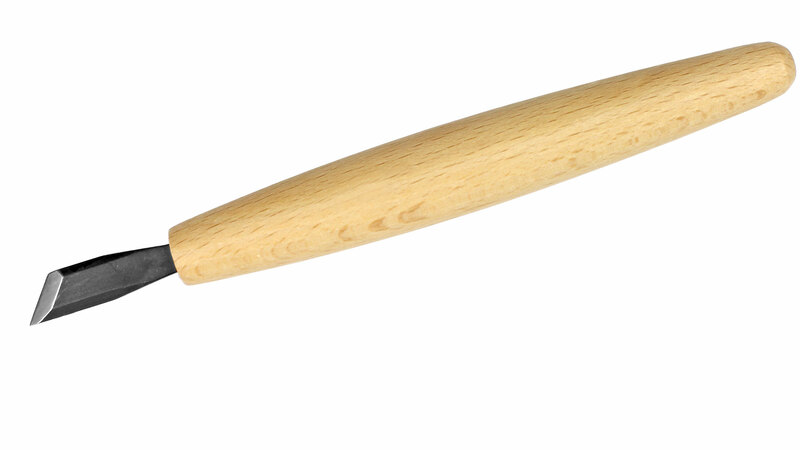 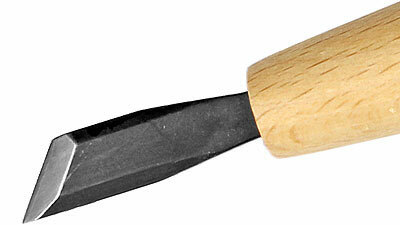 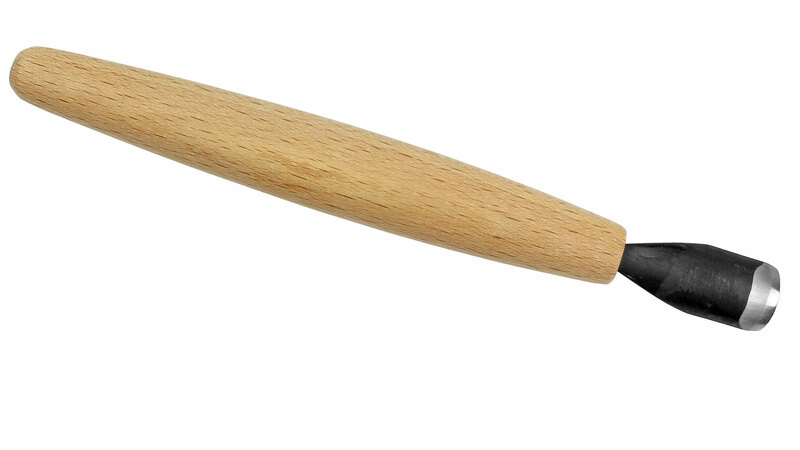 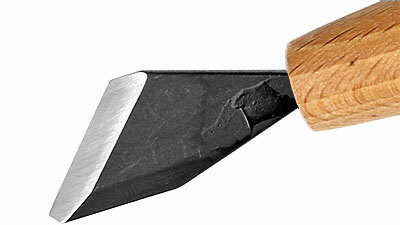 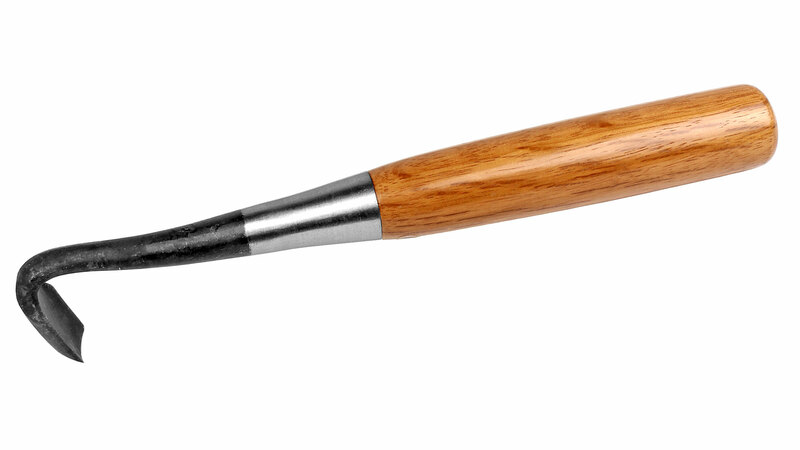 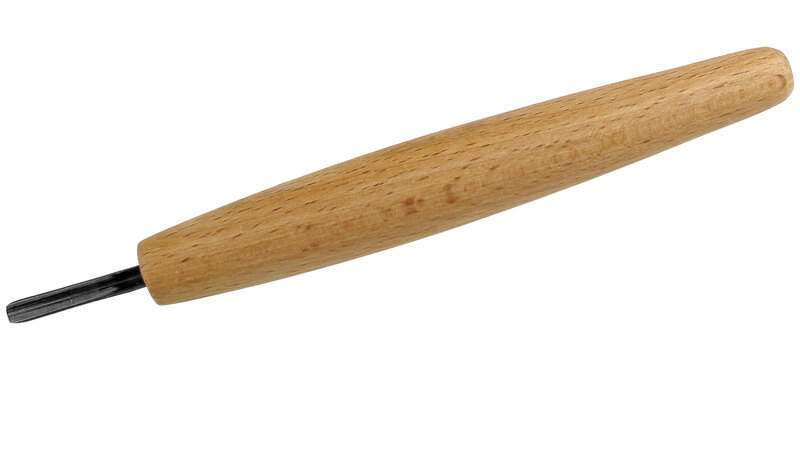 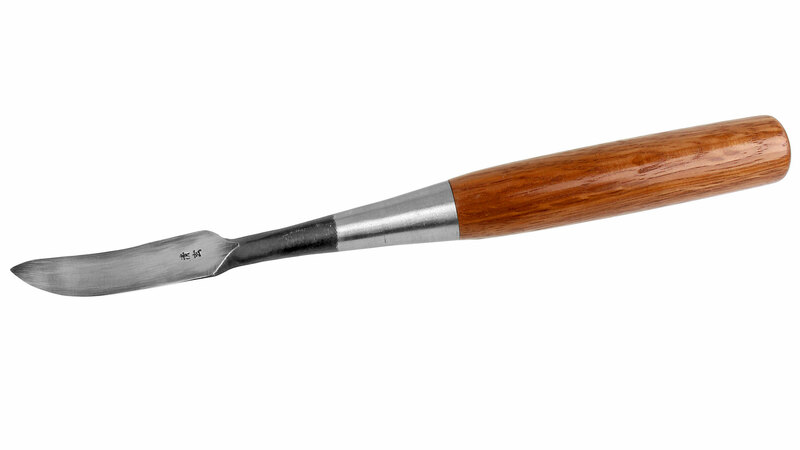 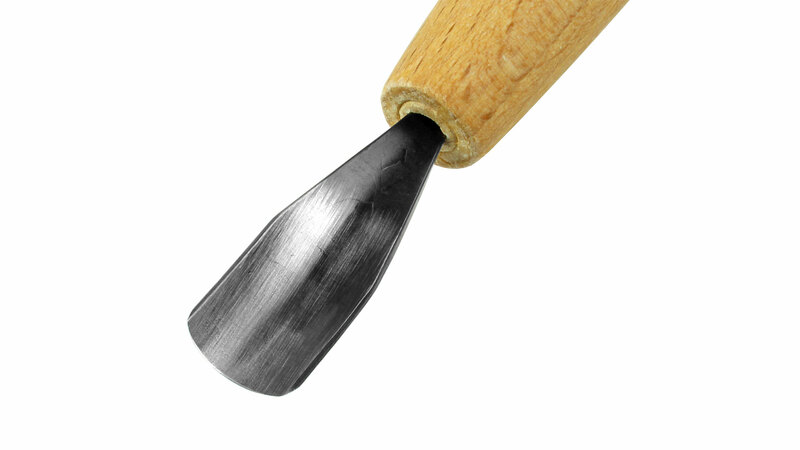 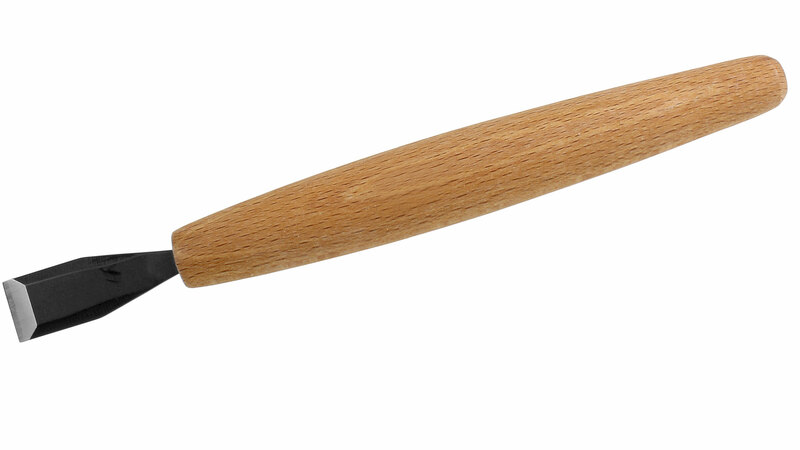 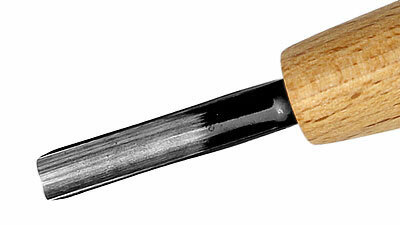 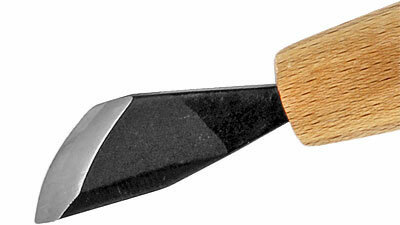 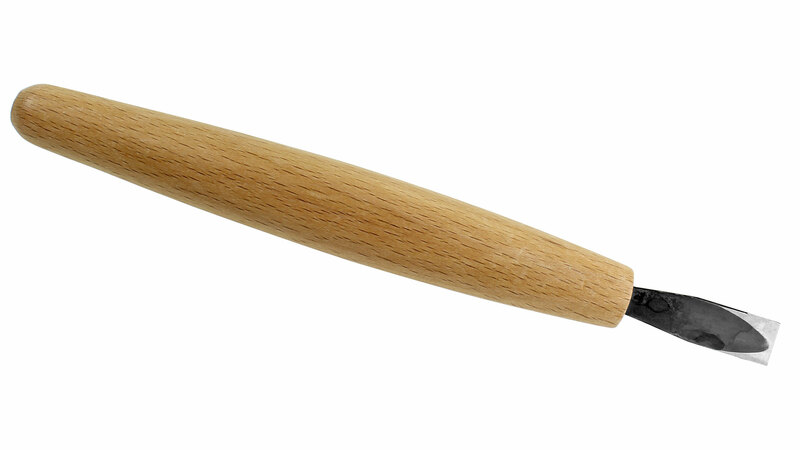 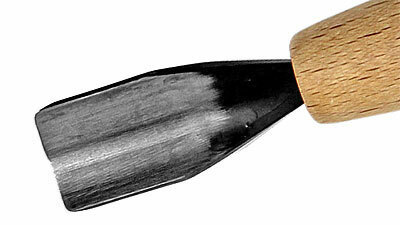 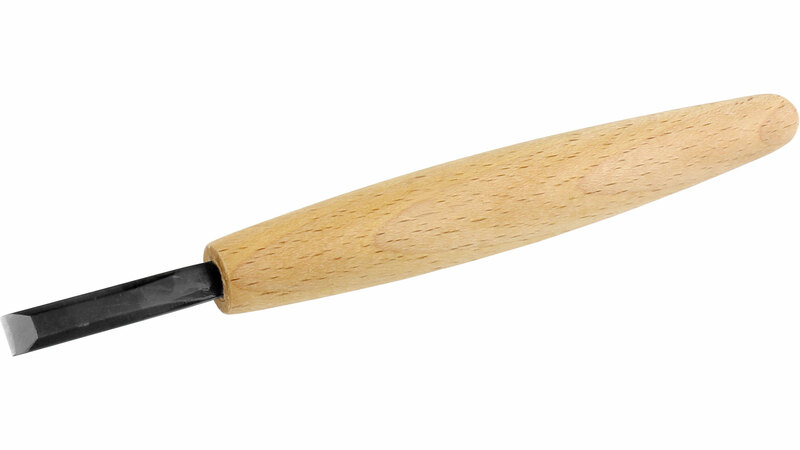 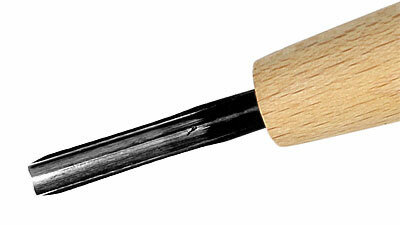 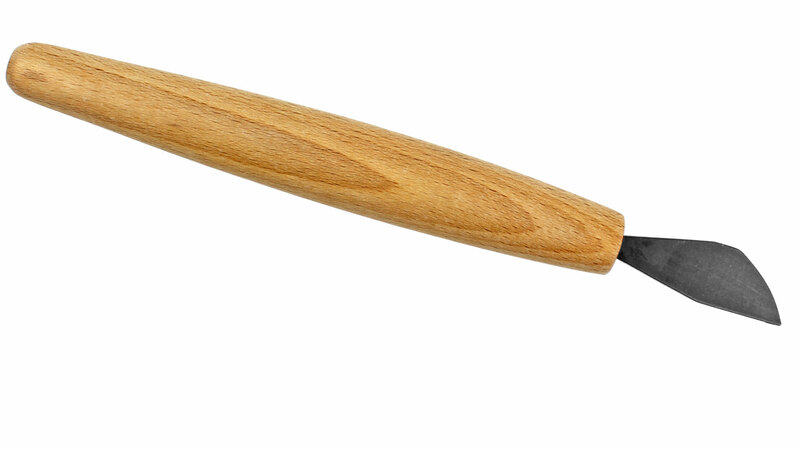 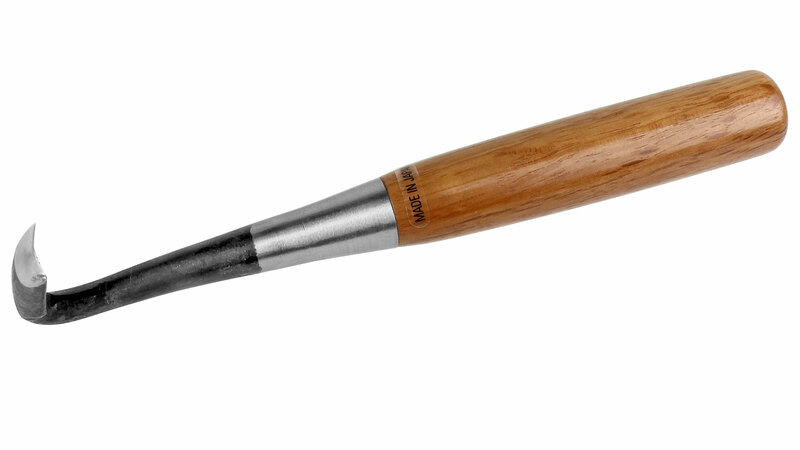 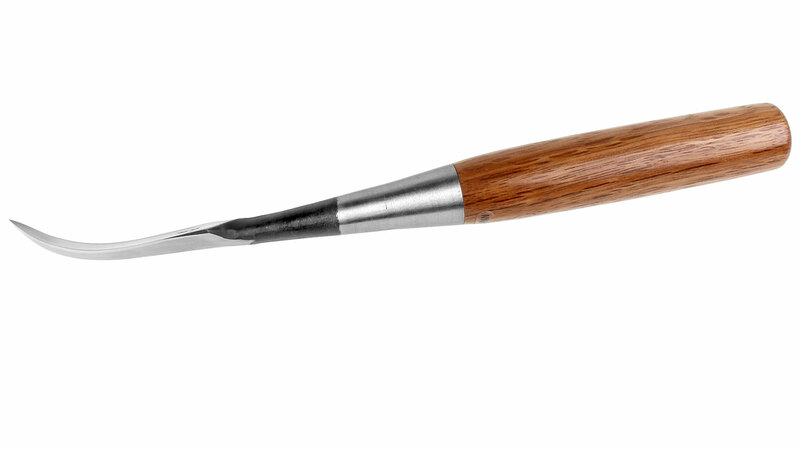 The scoop gouge is designed to delicately remove fine shavings of wood. 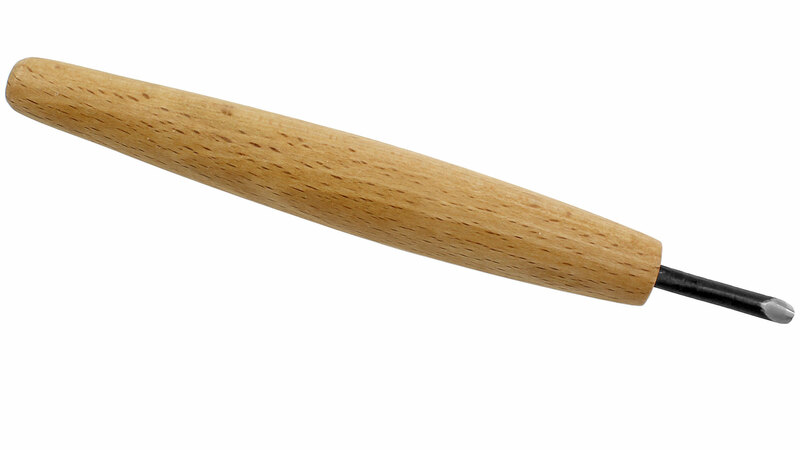 Do not use it to pry. 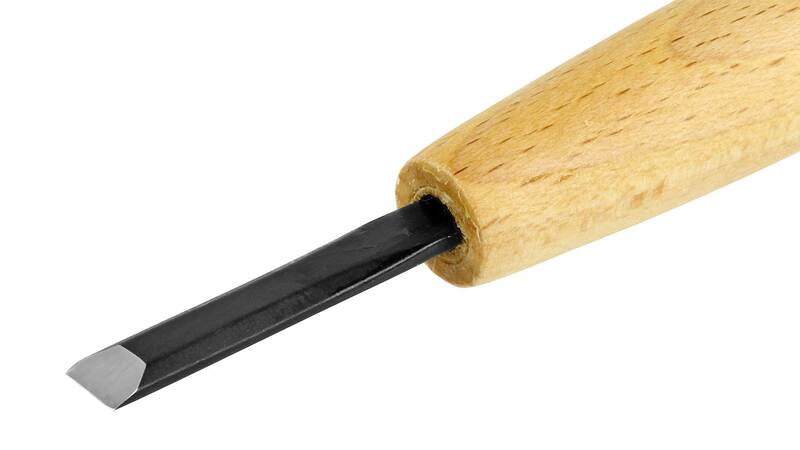 This kind of misuse can easily break the tool. 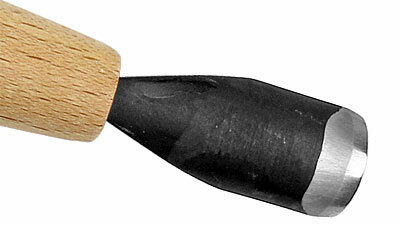 This is a very useful tool for bowls or any kind of concave surface. 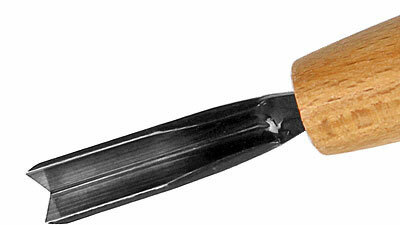 Because the scoop gouge cuts with a pulling stroke, one has much more control over the cut, as compared to using a tool that must be pushed or driven, like a normal gouge. 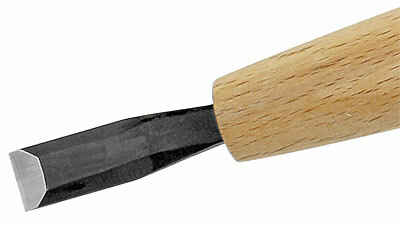 For this reason, it is also a good beginners tool.